With a few less holiday obligations to hi-jack the joys of weekly brunching, January proved to be a lovely month for enjoying relaxing Sunday mornings with some of the tastiest of treats to break the nightly fast. Many brunch recipes came straight out of Melissa's Culinary Goals of 2016. 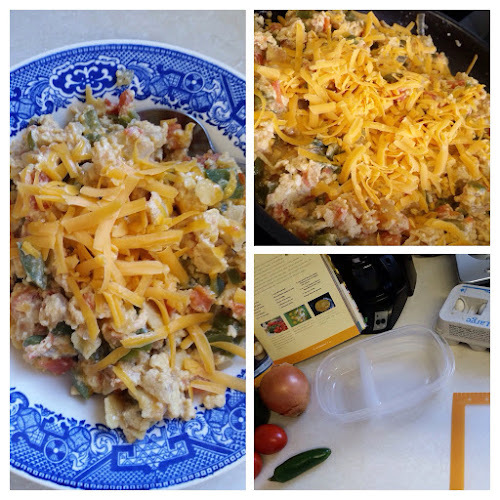 Migas from The Pioneer Woman's cookbook (cookbook goal) and Popovers (popover goal and recipe box goal). Other items were just plain fun to dream up and devour! The month began with a delicious dish of eggs, peppers and corn tortillas. 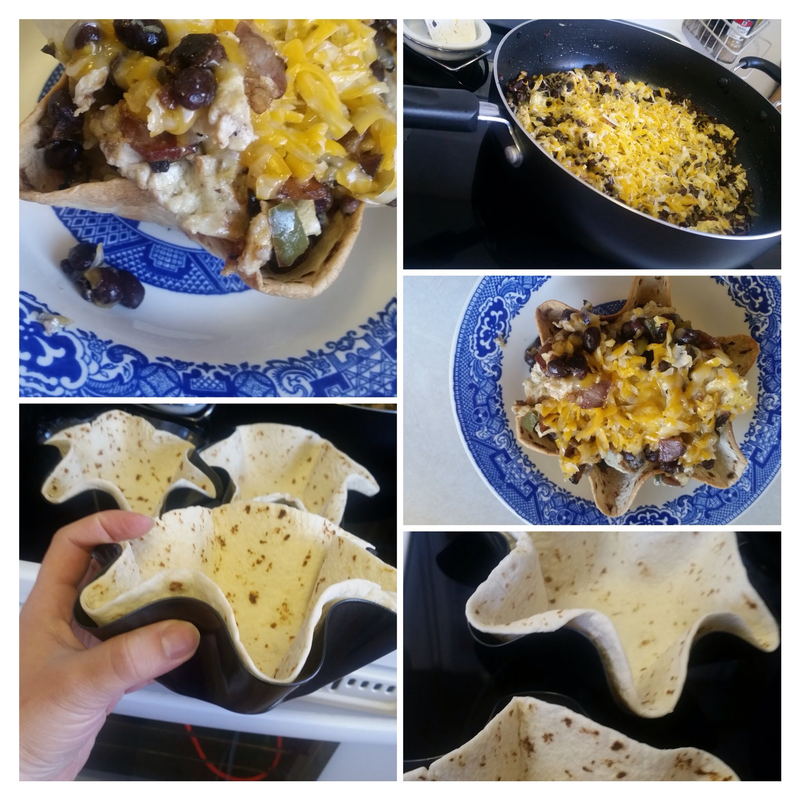 Straight from The Pioneer Woman's cookbook, this recipe for Migas left Melissa desperately wanting a 12" skillet (which she has since ordered off of Amazon) and once again thrilled with her cast iron skillet...because, well, it's cast iron and that makes the world a more tasty place. Another, fairly regular brunch tradition is the ever beloved Steak and Eggs. 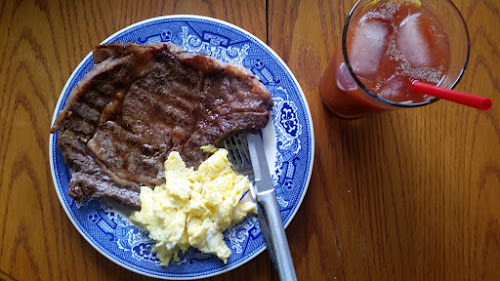 Having bought a side of beef late in 2015, the Harrington's ultimately have more beef than they can get through on their tight schedule, however, that does not stop them from trying and few things are more satisfying than a big, juicy, local steak with eggs and a homemade Bloody Mary on a Sunday morning. 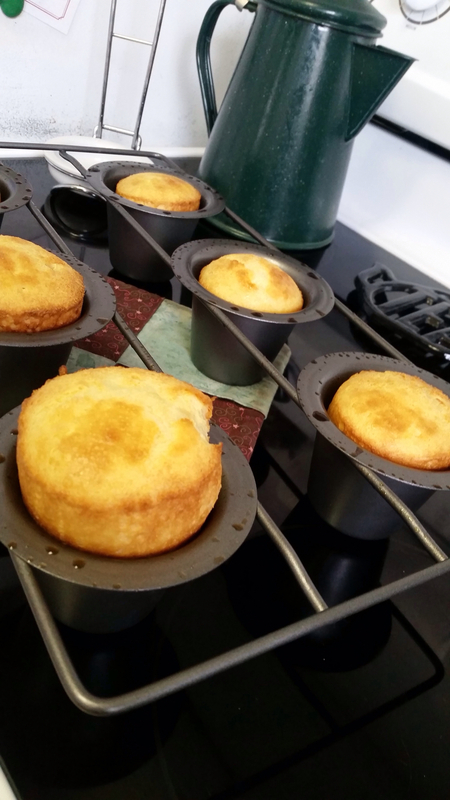 Later in the month, Melissa decided it was high time she busted out her never-used Popover pan and try her hand at the fluffy, custardy little morsels. Using her mother-in-laws recipe (with a little help from the Better Homes and Garden's cookbook since one key ingredient seemed to be missing from the recipe card), Melissa whipped up a batch of Popovers. 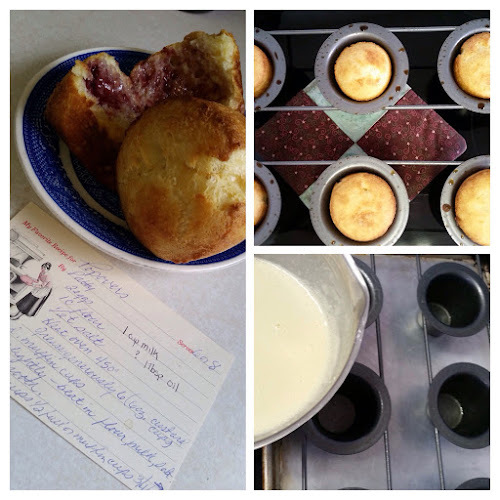 Having had this pan and recipe for as long as she has, Melissa had decided at the start of 2016 that making popovers would indeed be a Culinary Goal - not that popovers are intimidating...it's just there are some things Melissa has yet to get around to making. The muffin look-a-likes were full of fluffy goodness that held onto a bit of butter and jam in the most supreme of manners. Not to mention, they were the perfect compliment to a Hard Chai Latte! 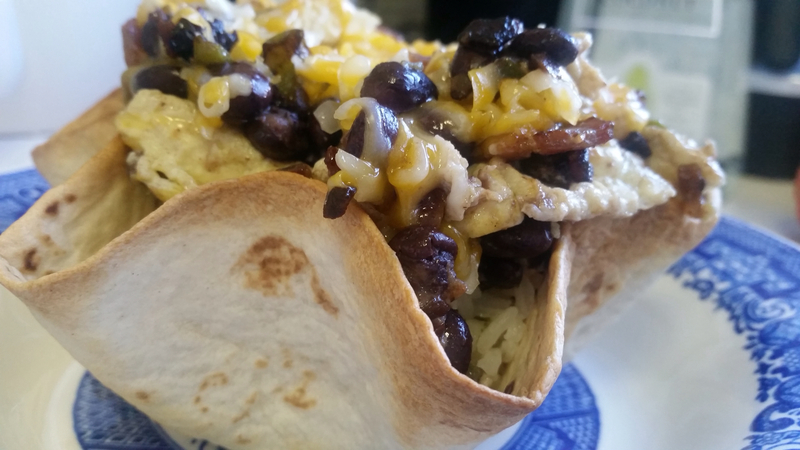 The month concluded with Breakfast Burrito Bowls. This was the one brunch of the month the Harrington's were able to share with a family member. Having come to town to assist Mike and Melissa with their late season crow hunt, Katie was keen to dig into this inventive breakfast. The recipient of quirky kitchen items like tortilla bowl makers, Melissa figured breakfast burritos were just as easy to transform into a bowl as a taco salad and set about filling her bowls with cilantro lime rice, black beans, bacon and scrambled eggs. The completed dish was lovely, delicious and well suited to Bloody Mary's, of course. Sunday Brunch continues to be the weekly routine that brings a semblance of normalcy to Abode 212, tricking the Harrington's in believing, for just a few moments, that their life doesn't revolve around managing, maintaining and staffing The Burlington Place.